It happens. Another vehicle kicks up a rock and it chips your windshield. Don’t worry. If you call Low Price Auto Glass of Richmond we can fix the chip so it’s almost like it never happened. It’s imperative that you fix the chip quickly. An unfixed chip in your windshield will eventually spread forcing you to replace the whole thing. Save a few bucks and call Low Price Auto Glass of Richmond as soon as it happens. 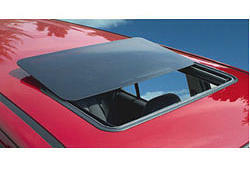 Does your moonroof have a small air leak causing an annoying whistling everywhere you go? Is your sun roof or moon roof leaking water? Whether you have a water leak, air leak or even if your sunroof is completely broken and needs to be repaired, the professionals atLow Price Auto Glass of Richmond can fix that aggravating problem in no time flat. Call us today for a free estimate. Let us come to you! Can't make it over to our repair shop? No problem! Low Price Auto Glass of Richmond has same day mobile service with the same low price guarantee. Simply call us with the year, make, model, body style, and the type of glass that needs to be changed. Your convenience is the top priority atLow Price Auto Glass of Richmond. If your power window is no longer working it’s probably because the regulator broken, stuck, off the track or simply moving too slow. If your window has completely fallen to the bottom of the door you run the risk of intrusion and/or exposure to the elements like wind, rain, cold, heat, dirt and debris. Don’t ignore the problem. CallLow Price Auto Glass of Richmond and let the experts with over 25 years of experience get your window back on track. In addition to the quality service offered atLow Price Auto Glass of Richmond we also offer direct billing to your insurance company for your convenience. 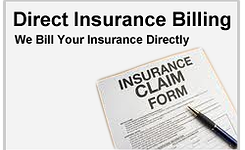 That means we bill your insurance directly so you can keep your money in your pocket. With same day service, the lowest price guaranteed and direct insurance billing why would you use anyone else for your auto glass repair?